For experimenters, accelerator experts or technicians, in fact almost everyone, life at Fermilab revolves around the operations of its accelerator complex. Those are typical inquiries, and everyone tries to get the best and biggest slice of the pie. But what is good for one group often presents a handicap for a different team. Finding a plan that works for everyone is a daunting task. Appel has been at the center of this pressure system since December 1, when he assumed his new PPO duties. To help the lab directors navigate the best course, Appel pulls together information on operations and future plans for both accelerators and experiments, taking note of the various requests for beam time and shutdowns. He also provides the support documents when the lab directors negotiate a memorandum of understanding with a university or an experimental collaboration, clarifying the responsibilities of all parties. Appel, one of the physicists who discovered the bottom quark at Fermilab in 1977, has experienced both the need for, and the power of, program planning from many points of view. In the 1970s, working in the switchyard group, he was at the interface between lab management and several collaborations of physicists conducting fixed-target experiments. 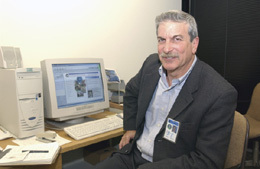 During his administrative positions as head of Computing (1986-1990) and head of the Physics Department (1990-1998), he closely worked with the Fermilab directorate while staying actively involved in physics experiments. As a spokesperson of two collaborations, Appel directly dealt with the PPO and advocated the needs of his physics experiments (E769, E791). In the last five years, Appel has led a group of scientists developing high-precision particle-detection components (pixel detectors) for the BTeV experiment. Appel has replaced Taiji Yamanouchi, who retired after serving as head of the PPO from 1980 to 2002, interrupted by a yearlong stint at the CDF experiment in 1986. 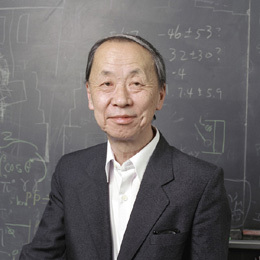 Yamanouchi’s tenure at PPO included the early fixed-target days, when he had to coordinate the simultaneous activities of as many as two dozen experimental collaborations at the lab. In the last ten years, he balanced the experiments’ needs of data taking with the shutdowns required by the upgrade of the Linear Accelerator and the construction of the Main Injector. With less construction and fewer experiments, it seems as if Appel’s job might be somewhat easier. But the experimenters’ cry for more powerful beams and steady delivery is getting louder. Both CDF and DZero have a growing appetite for colliding beams, and the new neutrino experiments MiniBooNE (started in 2002) and MINOS (beginning in 2005) are asking for delivery of as many protons as possible. Appel, who is currently working on a draft schedule for 2003, is aware of the task ahead.